Sunday marked Hollywood’s biggest night of the year. Over the past 12 months and into Sunday, we’ve deep-dived into the makings-of and people behind many a movie, from a critically lauded indie set on the North Shore that garnered significant Oscar nominations to a controversial Wahlberg-er that chronicled one of the toughest weeks in Boston’s history and received no Academy Award nods. Sunday was also one of fashion’s biggest nights of the year, but in this area, we’ve kept our analysis simple and Bostonian: Were the looks wicked good or wicked bad? Here are the worst looks from the 89th annual Academy Awards. 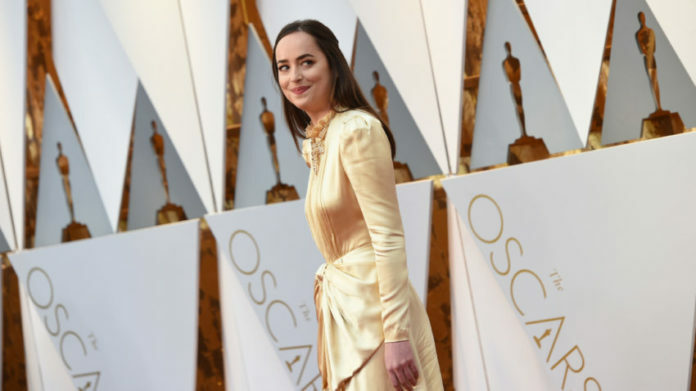 Dakota Johnson walked the red carpet in a high-necked, butter-colored Gucci gown with an oddly placed bow. Gold was a color of the night. Jessica Biel’s gold gown had a lot going on. Ryan Gosling’s ruffled shirt didn’t scream “fashion forward,” but he looked like he was having fun in it. Many people on Twitter likened Leslie Mann’s Zac Posen mustard-colored gown to Belle’s dress in Beauty in the Beast. Felicity Jones’s ballerina dress could have used some alterations. Salma Hayek’s black lace gown appeared frayed and too sparkly at the same time. Alicia Vikander also found a spot on this list in her black lace dress. Manchester by the Sea‘s Michelle Williams is known for her strong fashion sense, but this dress was a bit dull. Previous articleWho Killed Heath Ledger? Send Momma Perez Good Vibes!